Burn this thread to the ground. If Tatum hits at least 2 of his WIDE OPEN threes, this game has a different complexion. But god forbid anyone says something somewhat critical of a young guy. I know everyone wants Tatum to be special, but he's just not yet. He has flashes, but he's nowhere near doing it consistently. What are you on about? The majority of this thread has been talking about Jaylen, whose recent performances have earned him the right to not play 20 minutes a game behind Morris and Smart imo. "The ball should be funneling through Tatum and Brown" is literally in the OP. The problem is Tatum has Kobe-itis and Brown - for as good as he's been lately - can't be trusted at the free throw line late in games. This is true, but there is no reasonable explanation for playing Mook 15 minutes more than JB. Brown even played less than Terry did without Hayward. I have to say, I agree with everything you just said. I am a Brad apologist, but I don’t understand keeping Morris AND Smart in the starting lineup. Part of me thinks he’s not showing his hand until the playoffs, but that may just be wishful thinking. Brad is the best coach we had since Bill Russell was the player-coach of this team. A Grandmaster that values process over results in the regular season. When someone says otherwise I suspect they don't know the geometric shape of the basketball. Well, there might be some truth in that. I'm very, very dissapointed in this year, so far. What has he done to be worthy of such accolades? Historically good offence or defence? No. Making players look better here than elsewhere? No. Before I get barked at for that, look at guys like KO, Crowder, ET & Avery Bradley. Name me one of those guys who looks worse than they did here. AB did in LA, but look at him in Memphis (and his brief Detroit stint). He overachieved expectations in each one of his full seasons. And because of this fact, he raised everyone's expectations to the maximum. His end of games plays remind me of Mikhail Tals attacking imagination. With what roster was he supposed to win it all? Please be realistic. He is 42, and he never had a title-winning talent on the team up to this point. We are 5th (Def.) and 8th (Off. ), thats elite defense and a very good offense. As a general rule when you are top 10 in both you have a fine chance for a deep playoff run. That's enough for me. We were supposed to be a lottery team half of the time he is here, but he pulled out a 1. seed from a limited team. It is impossible to argue otherwise than, all players Brad coached play their best basketball under his leadership. All of the players you mentioned did that. I'll just add a few more; IT4 (remember his status before Brad), Morris, and even Kyrie. I excluded Gerald Wallaces, David Lees and Sullyies from this conversation. They were out of the league in a few months after they parted ways with him. There has never been a player that breathed a bad word about Brad in his 6 years. In general, we are talking about confrontational testosterone filled, competition-driven males, in their contract years. That alone reminds me of playing water polo with against crocodiles and sharks. A seemingly impossible task, still he just keeps everyone in the line. He doesn't stifle them, he doesn't intimidate them, he lets them be themselves and that is his way to make them all fall in the line. By seasons end (playoffs) they always are. I think that he is so good, I could spend a year in a muddy trench under monsoon rain, defending his work stoically. Yeah, he overachieved. He still has done far less here than Doc did. Doc was robbed of a second championship. K.C. Jones was also a very good coach. I mention championships because you're holding him above multiple coaches who have won rings, like Tommy, K.C., and Doc. Brad has yet to do anything that holds a candle to them in my book. Also, now that he does have a title-worthy roster, he's been at his absolute worst. Yeah, I know that we have a very strong defence and a solid offence. But yet again, you're holding him above Doc, who had our '08 team running a historically good defence, and above K.C., who had that mid 80's team running one of the most deadly and aesthetically pleasing offences ever constructed. It is very possible to argue otherwise. Crowder has returned to exactly where he was with us. Kelly Olynyk has too. As has Avery Bradley. ET has been hurt, but has produced almost identical numbers per minute. IT4 has become a shell of what he was with us, but even he was an established 20PPG guy off the bench. Marcus Morris is almost the exact same player he was in Detroit, except now he's a better rebounder and worse, or less willing passer. I think Kyrie's development would have happened had he left Cleveland regardless, but I concede that I think his playmaking and defence has improved due to Brad. However, I think he would be a better scorer under a different coach. That last thing you mentioned is one of the things that infuriates me about him. He seems incredibly passive. I know people will come out of the woodwork to say "players know when he's mad! ", but it means nothing because their behaviour never changes. I've been defending him all year, but unless we change drastically come playoffs then I'm not very confident in him going forward. Anthony Davis might save him, or he might find a way to turn Davis into a mere 20/10 machine. In general, we are talking about confrontational testosterone filled, competition-driven males, in their contract years. That alone reminds me of playing water polo with against crocodiles and sharks. A seemingly impossible task, still he just keeps everyone in the line. He doesn't stifle them, he doesn't intimidate them, he lets them be themselves and that is his way to make them all fall in the line. By seasons end they always are. Regarding the list of former players, I think we can equate their level of post-Stevens success to the quality of their new coach. KO - He couldn't have found a better fit than Miami. Spoelstra and Stevens share many similar qualities when it comes to maximizing talent. Crowder - He's not the same player right now, especially on the defensive end of the floor. I attribute most of this to an athletic decline. That said, Steven's deserves credit for the development of Crowder during his time in Boston. He posted the best shooting splits by far while he was here. Turner - ET has been largely the same player for most of his career. Stevens didn't make Turner a better player but he definitely maximized his ability to impact winning. It has taken a drop in minutes and usage rate for him to not be a liability in Portland. Let's not forget that Turner was a fairly important piece of a 48 win Celtics team. Turner was the first person to credit Stevens for helping him get his career back on track. Bradley - Advanced stats have never been kind to AB. This is another case where Stevens maximized his strengths while hiding his weaknesses. Bradley's recent resurgence in Memphis is too small of a sample size to conclude much of anything. My biggest problem with Stevens right now is that he is sticking to his 'keep shooting 3s' plan when it obviously not working. Kyrie is the only reliable 3 point shooter we have. We do not have kd, curry and klay on this team. I am not sure it is just a slump at this point. our guys getting WIDE OPEN looks and missing them. Our guys go on a fast-brakes, get 1 feet from the rim uncontested and than pass it out!! I think it was the last game against the Kings that show how well we can do playing inside. I still believe we can do alright in the playoffs, Stevens is good at making adjustments in a long series. I am all in on AD- at this point i just hope we can keep Smart. BB IQ on court plays , he is Einstein. He knows what he whats to do and is ahead of every play early . Top 5 easy in X and O s and strategy. His weakness seems to be motivation and dealing with the ego stars . None is worse than Lebron , spoiled since 14 . These types require patience and understanding that would have tried Jesus . I give Doc the nod on ability to coax the divas to play and play together . He needs to learn how to play the game inside out with bigs , the small ball thing just doesn't work so much anymore . There is GS and then everybody else , who has a nice center to play big with. Horford is getting old and has trouble,with the 7 ft guys older than Embiid , which Al is just way mor experienced player . When your coach looks as young as you , i suspect the huge ego stars ignore his type. He looks old to a 17 yr old college players though. Stevens needs to get a little meaner and ruffer around the edges . You can't be a perfect type guy all the time. He would be the perfect coach for Duke . Tim Duncan changed Pops career . If CBS could have Al and Davis , like Pop had the Admiral and Duncan , i think he would be set. Really? If a coach has a system where the defense is not stopping anyone on the floor at anytime, big men are as useless as a 3 on defense and rebounding, while too slow for points but constantly mismatched against them, and perimeter players can't stop the drive OR the 3 pointer...or stop the ball from advancing...what is so great about that? And why would you think a team that can't play defense, rebound, or stop the ball anywhere, while not having any value on toughness will even sniff a championship? Geometric shape of the ball...man please. If they win the title I will eat that ball. And I hope you're not gonna say he's some sort of offensive genious. Hell, Jim O'brien was better just getting 5 guys a game away from the finals. Or should I say 5 flawed guys, cause people around here sure thought Antoine stunk. to be fair, I really think Pop is the only 'elite' coach in the league right now. By 'elite', the bar is that they are great at X's and O's, motivating players, getting the best out of the players on the roster and being able to adapt/coach based on the talent on the roster. To me, Pop is the only active coach that fits that description. Brad, IMHO, is a very good coach. He's not great, but very good. I think this season is where some flaws are being shown. He's having more difficulty getting his players to perform with effort every game. His rotations and management of playing time is puzzling at best. His sense of when to call a TO when the C's are getting nailed by a huge run by the opposing team is baffling at a minimum. His offensive scheme of ball movement to chuck a huge volume of 3's is awful and very exposed this year with so many games of cold shooting the team has seemingly not developed any alternative offensive schemes to manufacture points when no one can hit a shot. I have the same wishful thinking, because Morris makes me want to punch holes in the wall every other trip up the floor. I feel like there is enough evidence to support the thought that CBS is a mediocre offensive coach. There is nothing special about his philosophy on that side of the ball. He let’s anyone and everyone jack shots up. 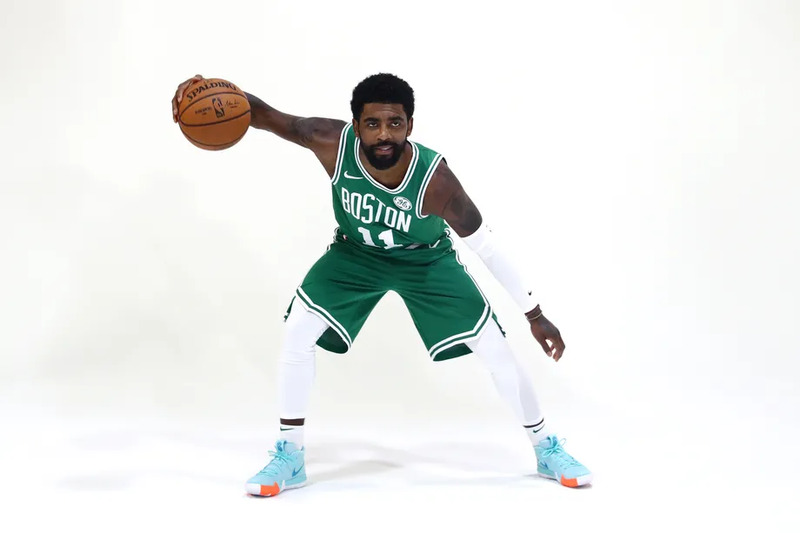 It feels like he wants the C’s to mimic the the Spurs but that team can kill you with a thousand cuts. The majority of the time the C’s take the first lazy shot they can. When the 3’s are falling they look like a juggernaut but this team should be so much more than that. How do you preach ball movement then allow bigs to take 3’s early in the shot clock? This ^^^ Been saying it all year. The pecking order on this team is messed up. It's Kyrie and then anyone else. I'm just stunned at the way Tatum and Brown have been used this year. Kyrie will either take all the big shots or only pass to Horford.